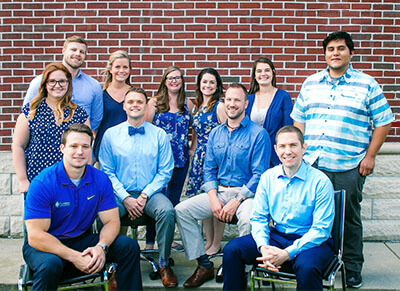 Graduating in 2008, Dr. David Evans had a goal to one day run his own practice. Fulfilling that goal, Dr. Evans is now the new owner of ProWellness Chiropractic. With a team of chiropractors, and two massage therapist, we’re here to provide you all the resources you need to feel your best. Our philosophy is patient-focused. While our patients visit us for different reasons, we want to help you reach your goals, whether pain relief or wellness care. We always take the opportunity to educate our patients about chiropractic care. We’ll teach you what it can do for you beyond pain relief and how to live a life of wellness. Know that we’ll meet you where you are, and go from there. With chiropractic care, physical therapy and massage therapy, ProWellness Chiropractic is different than other practices in Fishers. Our large state-of-the-art facility offers a variety of services and modalities all under one roof. This way, we’ll provide the care you need to heal your best.